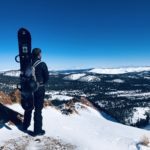 July 25, 2018 – Mammoth Lakes, CA. Artistic Director and Conductor Edwin Outwater and Executive Director Aimee Kreston of the Eastern Sierra Symphony invite the entire Eastern Sierra community to join them on Friday, August 10 and Saturday, August 11 at 7:00 PM at St. Joseph’s Church in Mammoth Lakes for two outstanding symphonic concerts presented at no charge (Donations gratefully accepted.). In addition to the two free concerts, Eastern Sierra Symphony is presenting a Benefit Concert on Thursday, August 8 at 6:00 PM at the Edison Theatre. This concert will feature the outstanding student musicians of the Symphony playing Vivaldi’s Four Seasons. 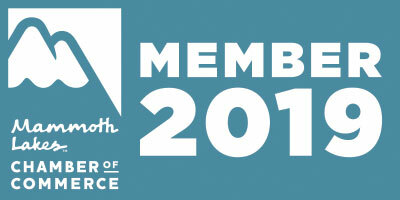 Tickets are $50 per person and include wine, refreshments, and a silent auction. 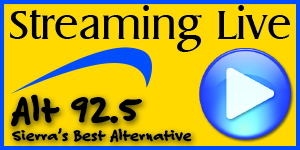 The benefit will help defray the costs associated with presenting the free concerts to the community. 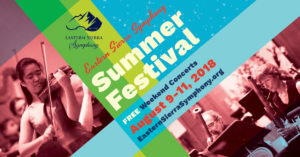 Eastern Sierra Symphony consists of professional musicians from LA Opera, Pasadena Chamber Orchestra, Santa Barbara Symphony, and others, who travel to Mammoth Lakes each summer. Playing alongside the professionals are outstanding student musicians, many from the Colburn School in Los Angeles. Each year one particularly talented student is presented with the Horton/Kohl Young Artist Award and is the featured soloist in the Friday evening concert. 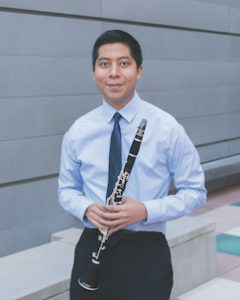 This year’s winner is clarinetist Javier Morales Martinez, age 17. Morales is currently a senior at the Los Angeles County High School for the Arts who will be attending the University of Southern California in the fall of 2018. He is a recipient of a Herbert Zipper Scholarship at the Colburn Community School of Performing Arts, where he has been a student since 2013. Each year Artistic Director Outwater also introduces a featured soloist and a Composer in Residence. 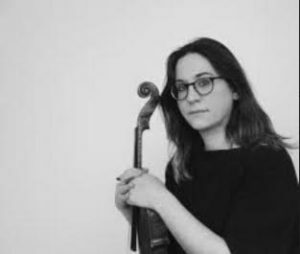 This year the soloist is Nadia Sirota, Viola. Sirota, who performs with Paul Simon as part of yMusic Sextet on his 2018 Homeward Bound Tour, has a varied career that spans solo performances, chamber music, curation, and broadcasting. In all branches of her artistic life she aims to open classical music up to a broader audience. Nadia’s singular sound and expressive execution have served as muse to dozens of composers, including Nico Muhly, Bryce Dessner, Missy Mazzoli, and others. Sirota won a 2015 Peabody Award, broadcasting’s highest honor, for her podcast Meet the Composer, “the world’s best contemporary classical music podcast” (Pitchfork), which deftly profiles some of the most interesting musical thinkers living today. As a soloist, Nadia has appeared with acclaimed orchestras around the world, including the Detroit Symphony, the Colorado Symphony, the National Arts Centre Orchestra, the Spanish National Orchestra, and the Orchestre National d’Île-de-France. To date, she has released four albums of commissioned music. 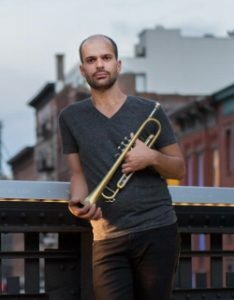 This year’s Composer in Residence is Amir ElSaffar, an Iraqi-American trumpeter, who grew up in River Forest, IL. The santour player, vocalist, and composer is on the forefront of a wave of musicians who are incorporating the traditional musical styles of their cultural backgrounds with modern sensibilities, blurring the lines and conventions that differentiate styles, toward a music that resonates human. ElSaffar was first exposed by his father to the recordings of Louis Armstrong and Ella Fitzgerald, and to music from the Blues Brothers Soundtrack. His mother taught him to sing and play American folk songs on ukulele and guitar when he was nine. While pursuing a Bachelor’s degree in trumpet from DePaul University, ElSaffar was performing throughout the Chicago area with jazz, blues, rhythm and blues, and salsa groups, in addition to being a member of the Civic Orchestra of Chicago for two years. Wittstruck, our soloists and the entire symphony orchestra for three nights of outstanding symphonic music featuring composers, Vivaldi, George Walker, Nielsen, Owen Pallett, Haydn, Mozart, ElSaffar, and Brahms. For more information about the concerts, soloists or the orchestra, and to make reservations (not required for free concerts, but recommended), visit EasternSierraSymphony.org. 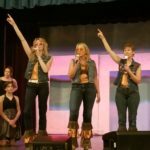 Eastern Sierra Symphony is a 501c3 non-profit that is funded through donations from donors as well as ticket sales for its special events August concerts. Donations are welcome and may be sent to P.O. 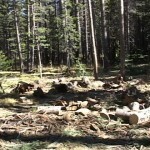 Box 7710 in Mammoth Lakes, CA 93546. 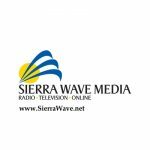 Corporate/Government sponsors of Eastern Sierra Symphony include Town of Mammoth Lakes/Measure U; Mono County; Mono Arts Council; 80/50; and Sierra Nevada Resort & Spa.